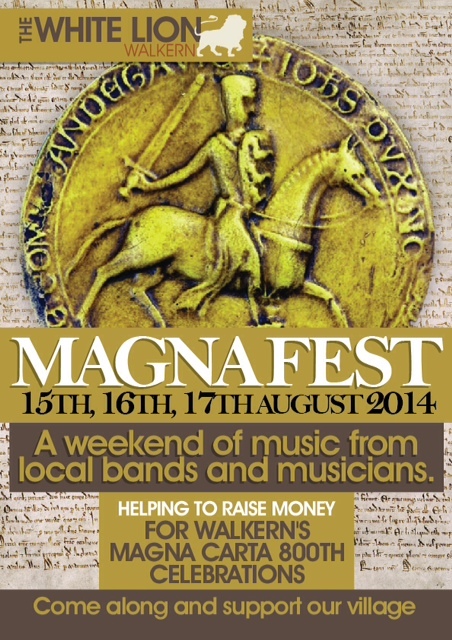 Home › Magna Carta › Article on Magna Fest in Herts Mercury!!! Bands are gearing up to play a music festival at a Walkern pub that will raise awareness of the 800th anniversary of the signing of the Magna Carta. MagnaFest will run at The White Lion from Friday (August 15) to Sunday (August 17) and will also raise funds for the village’s celebrations of the signing of the document next year….